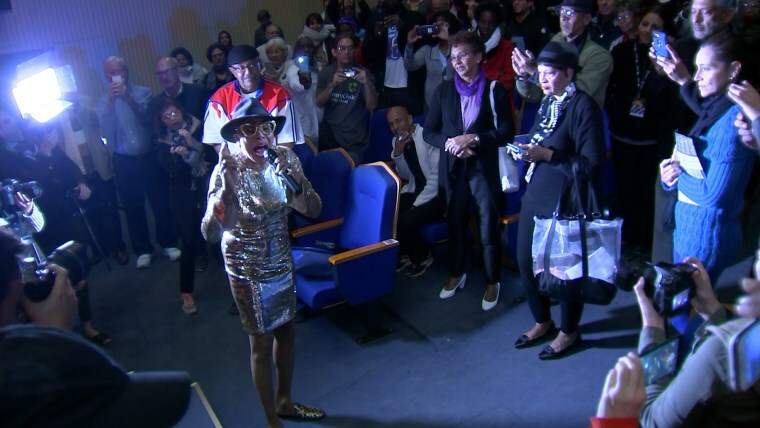 HAVANA, Cuba — Amid growing tensions between the U.S. and Cuba, the International Jazz Plaza Festival is bringing together the largest group of American artists in its 33-year history and a striking presence of Americans in the audience. For American artists, the festival, which kicked off Tuesday, Jan. 16 and ends on Sunday, Jan. 21, presents a unique opportunity for musical exchange with their counterparts on the island. Around 180 artists from the U.S. are performing at the festival, which constitutes 80 percent of international participants. “I have a deeper appreciation for the struggles of this country, for the struggles of the musicians here,” she said. There was also a notable amount of Americans in the audience despite travel warnings by the U.S. State Department. Earlier this month, it changed the travel alert system and recommended its citizens to “reconsider” visiting the island. In September, it had recommended Americans against travel to Cuba because visitors could risk becoming victims of mysterious attacks, like those suffered by 24 diplomats and their relatives based in Havana. Mariah, who did not want to give her last name, is a Cuban American who lives in Boston and was attending the event. She lamented President Donald Trump’s policy changes that restrict travel to Cuba. “After all, it’s so close, that it should be way easier than it is,” she said. “I really do hope the situation resolves because I think the friendship between Cuba and America, that could potentially exist, would be very fruitful for both countries,” she said. The presence of American musicians is not new for the festival. For over three decades, it has served as a point of exchange between American and Cuban musicians, according to Billboard. Legendary artists like Dizzy Gillespie and Max Roach have performed at the festival. But after the U.S. and Cuba reestablished relations in 2015, the participation of American artists in the event grew, according to Mailyn Camilleri, who handles communications for the festival. This year, she said, there are more American musicians as well as more American fans. Other American musicians at this year’s festival include Grammy award winning saxophonist Ted Nash, pianist Randy Weston, and saxophonist Joe Lovano. Cuba has always been known for its jazz and different music styles. In fact, it was the Afro-Cuban clave beat, combined with jazz harmonies, that produced what is known as Latin Jazz today. One of its pivotal moments came in the 1940s when Cuban percussionist Chano Pozo traveled to New York and met trumpeter Dizzy Gillespie. Pozo became the first Latin percussionist in Gillespie’s band and together they wrote the first jazz composition with a Latin flavor. Through the years, Cuba has produced world famous jazz artists like trumpeter Arturo Sandoval and saxophonist Paquito d’Rivera who now live in the U.S. Both were members of the Grammy award winning band, Irakere that was founded by pianist Chucho Valdés. His late father, Bebo Valdés, was a bandleader, pianist, arranger and composer and one of the most influential in Cuba before he defected after the 1959 communist revolution. New York-based pianist Arturo O’Farrill, who is the current pianist, composer and director of the Afro Latin Jazz Orchestra, is also known for his contributions to contemporary Latin Jazz. Cultural exchanges between the U.S. and Cuba were difficult after the revolution. Diplomatic relations between the U.S. and Cuba ended in 1961 after Fidel Castro took power and installed a communist government. His brother, Raul Castro, officially restored relations in July 2015 when embassies were reopened. Under former president Barack Obama, the two countries, expanded travel options, restored commercial flights, and negotiated agreements on law enforcement, the environment, and the postal service. Obama was first U.S. president in over five decades to visit Cuba. But the Trump administration has taken a harder line and reversed some of Obama’s historic policy changes, with the aim of preventing Cuba’s government from benefiting from American tourism. Some of those who own private businesses in Cuba have been negatively affected by the decline of American tourism to the island. Yet amid the strained relations between the two countries, Gabriela Rodriguez, a Cuban university professor who is attending the festival, sees cultural exchanges as positive and healthy. “Art shouldn’t suffer in any way because of bad political decisions taken by the governments. On the contrary, it should expand as a form of dialogue among people,” she said. Orlando Matos reported from Havana, Carmen Sesín reported from Miami and pictures/video by Roberto Leon in Havana.